Is there such a thing as too much cycling? If you’re a super keen rider, you might think it’s impossible to be out on the road or track too much. But overtraining can be a very real problem for cyclists, whether you’re just starting out, or are an experienced rider. Overtraining Syndrome, sometimes abbreviated to just OTS, is quite common among endurance athletes, not just cyclists. It occurs when the body has reached a point where it is enduring more damage through exercise that it can repair. It’s very important for athletes to know when to stop pushing their bodies so hard, to allow them to heal and repair. Let’s look at some of the signs of overtraining and how you can reduce the risk of developing OTS. If you’ve just started getting into cycling, it’s crucial that you don’t take on too much at once – start off slowly with short rides and build up to longer, more challenging ones. This will give your body time to adjust to the actions of cycling, over steadily increasing distances. In this way, you can help to avoid injury and fatigue. To minimise the risk of overtraining, it’s a good idea to keep track of your cycling. You can use a training log to make notes of your rides, performance levels and also any injuries or pain as well as your general mood. Be cautious of becoming obsessive about cycling – riding should be an enjoyable experience and a positive and healthy aspect of your life. If it ever starts to feel negative, or something that you feel you have to do every day, you may be at risk of overtraining. A professional, qualified physiotherapist will be able to provide you with more information about overtraining and OTS. The Star Physio team can assist you with your cycling and determine the best way to protect your muscles from injury. We are a physiotherapy clinic and we are experts in sporting injuries and cycling. At Star Physio, you can learn to ride longer, better and pain-free through Bikefit. 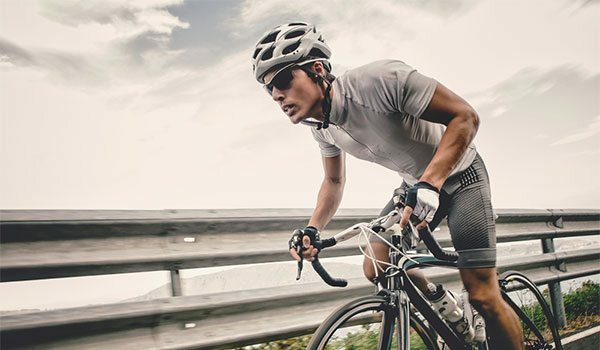 This professional assessment combines cutting edge technology and expert knowledge to find your ideal cycling position – whether you’re an athlete or a first-time rider. By professionally fitting a bicycle to its rider, you can ensure ideal positioning. This can help to maximise your athletic input while minimising the impact on the vulnerable parts of the body. Check out our comprehensive Bikefit services in Perth. Fill out our quick online form or give your nearest Star Physio clinic a call to learn more.